Ah, weddings - the best day of a couple's life, unless someone isn't happy with their seat at dinner. One wedding guest was confronted with an internal struggle when she was unhappy with her seating arrangement at the reception: grin and bear it with a group of strangers or secretly move seats to be with people you know? A woman, who uses the name BluebellUK on Mumsnet, took to the forum to ask about appropriate etiquette when she was relegated to a separate table from her partner (who was best man), instead paired with strangers in a separate room. "I had the worst time at a family wedding on Saturday. I can't get it out of my head," she wrote. "My partner of 12 years was best man for his brother. I expected to be seated with aunties/cousins etc as one of the groom's cousins is my best pal. "Got to the seating plan and found I was at table 10, which was in the other room from the top table and contained 7 total strangers. Well, all the anti depressants, beta blockers and meditation that got me dressed and functioning failed and the tears started... Had to scurry off upstairs to our room to calm down." When she came back, her partner's cousin had moved her place card at their table to be with people she knows. "Argument with the waiter later and that's where I sat," she added. "Bride and groom didn't speak to me the whole day, didn't wait for requested photographs. "My wrong surname problem strikes again? I'm being totally irrational and shouldn't have been seated with extended family?" The questions has sparked debate among forum users, who are divided as to whether or not she did the right thing. One wrote: "It was a bit off to sit you away from the main party, but running away was a) attention seeking and b) insulting to the other people at the table. I'd have been crushed if someone who was supposed to have been sitting next to me charged off." Another said: "No, obviously you understand you are not part of the bridal party so won't be sitting with your partner, but to be in the same room and at a table with other relatives you know is not too much to ask. Your partner's cousin noticed and was bothered about it enough to take action himself and move you closer to him. Your mental health issues don't come into it at all, except perhaps from their side to try to excuse their behaviour towards you, so they can try to minimise and downplay it as you over reacting. "They were sh**s, just like you think they were." "It was odd to not to sit you with people you knew/with family, and even more so if they are aware of your mental illness. A 12 year relationship is hardly 'plus one' territory," another added. 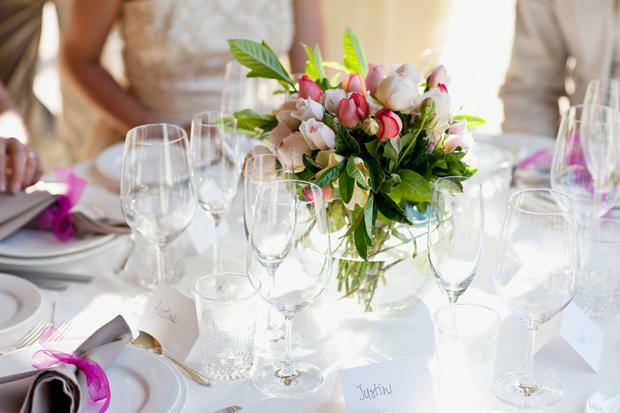 While one said guests seats should not have been the biggest on the newlyweds' minds, saying: "Your seating arrangements are not the forefront concern on the day they get married. You should have got on with it and sat where you were put."